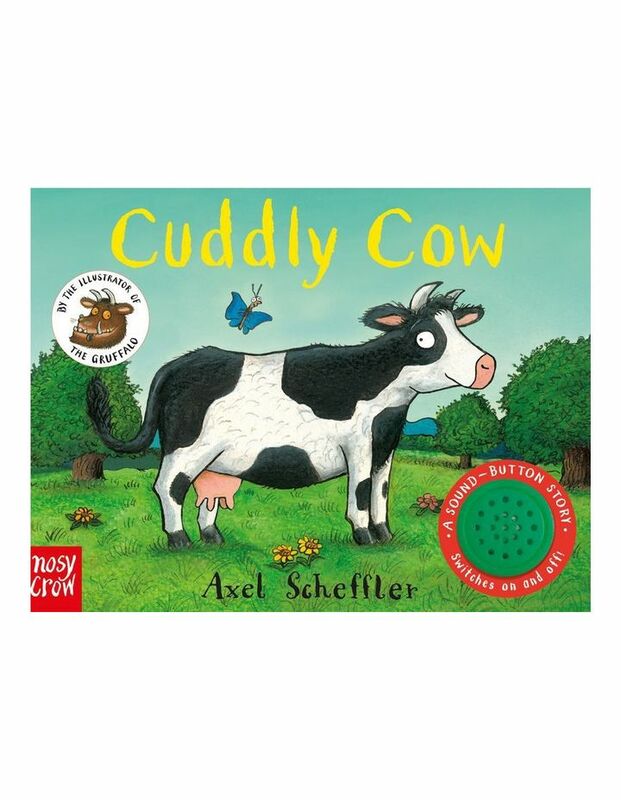 A friendly farmyard picture book tale about a Cow called Cuddy. This brightly coloured picture book from Axel Scheffler, comes in a sturdy board book format with a built in big sound button. Little fingers will enjoy pushing the big sound button to hear Cuddly's noisy mooing. Cuddly Cow is ready for bed, but she can't get to sleep anywhere! As she visits her farmyard friends, will she find the perfect place to get a good night's sleep?